Discover the power of mobile retail with Vend POS + PayPal. 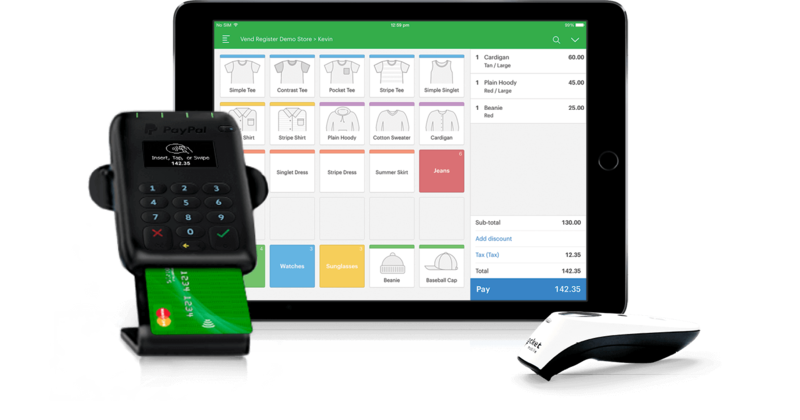 Easily manage and grow your retail business and accept any form of payment with Vend + PayPal together on iPad. Let your customers pay any way they like with Vend on iPad and PayPal Here. With PayPal Here, you can accept swipe cards, chip cards, and the latest contactless technologies like Apple Pay. With great customer service, PayPal monitors for fraud 24/7 and is PCI compliant to keep your business protected. Accept card payments quickly and securely on-the-go and only pay a small fee per transaction. Take Mastercard, Visa, and AMEX at the same rate. Andrea Houghton, Founder, Boatrocker Brewing Co.